2 BEIJING (Reuters) – Chinese President Xi Jinping told former U.S. secretary of state Henry Kissinger on Friday that China was watching U.S. politics “very closely” following the presidential election won by Republican Donald Trump. BEIJING (Reuters) – Chinese President Xi Jinping told former U.S. secretary of state Henry Kissinger on Friday that China was watching U.S. politics “very closely” following the presidential election won by Republican Donald Trump. A few days after his victory, Xi told Trump in a telephone call that cooperation was the only choice for China and the United States. “The presidential election has taken place in the United States and we are now in a key moment. We on the Chinese side are watching the situation very closely. 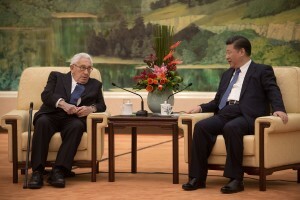 Now it is the transition period,” Xi told Kissinger, in remarks made in front of reporters. “Overall, we would like to see the China-U.S. relationship move ahead in a stable and sustained manner,” Xi said. China and the United States must “uphold continued stable development of mutually beneficial bilateral trade relations,” he added, in comments later posted on the foreign ministry website. 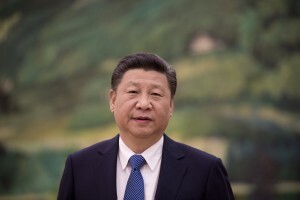 “The development of ties since the establishment of diplomatic relations show that the joint interests of China and the United States are far greater than disputes,” Xi added.